San Francisco is known for many things, but spacious, affordable real estate isn’t one of them. Many people who live in the city may have glamorous apartments and townhomes, but few have all the space they’d like to have. With space-saving furniture, you can get more of the functionality you want out of each room without actually having to increase your square footage. 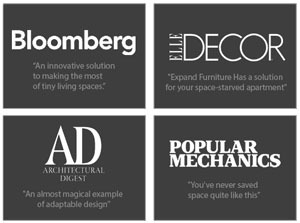 At Expand Furniture, we offer the solutions you need. Our transforming furniture in San Francisco can help you make a room do double duty. For example, our lifting coffee table serves as a sleek and stylish surface for entertaining when you have guests, but it can easily transform into a working desk. Even if you don’t have the room for a dedicated home office, you can quickly create your own mini “office” in any room with this table. Our Murphy sofa sectional wall bed can quickly make a guest room out of your living room. 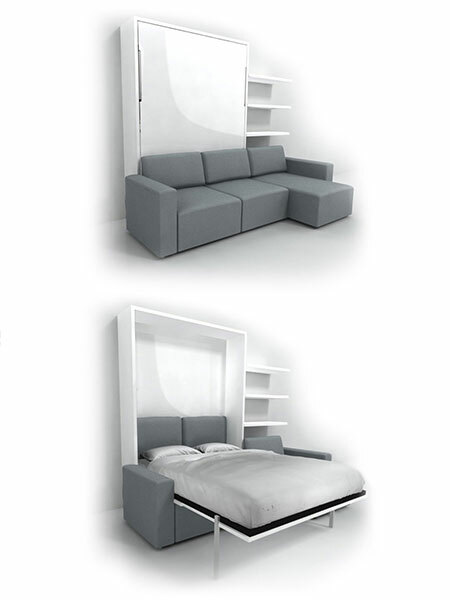 The bed folds up into the wall when it is not in use, revealing the sofa for entertaining. When in use, the bed comes down to cover the sofa. You don’t have to move anything except the cushions. We have many other pieces of space saving furniture to help you make the most of your square footage. You can transform a coffee table into a dining table or a wall bed into a desk. You have many possibilities to get the functionality you need without having to go through a whole remodel. 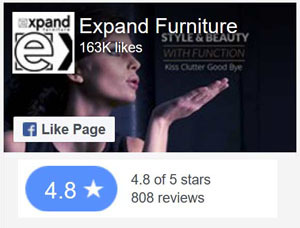 Browse the catalog at Expand Furniture to discover the possibilities for your home. Videos are available to show you what the furniture can do, and our customer service representatives are available to answer any questions you may have. Find out how our furniture can help you make your small space seem huge. We deliver our products safely to San Francisco customers. Every shipped product is completely insured for damage. 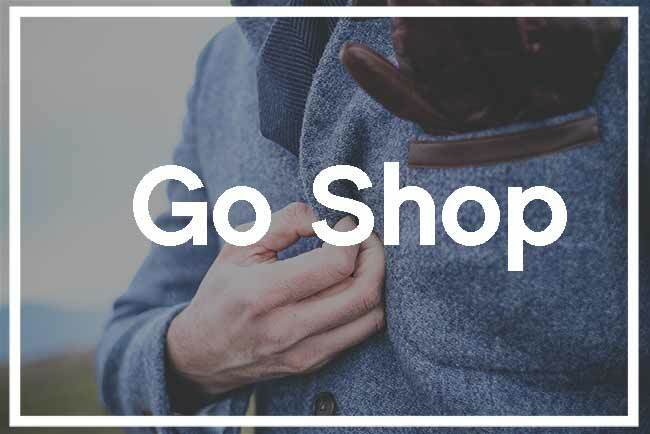 We try to make things easy for you. Most of our tables and chairs are fully assembled and ready to use out of the box. As an online company we strive for excellent customer service. Learn more about Expand Furniture or read our frequently asked questions.